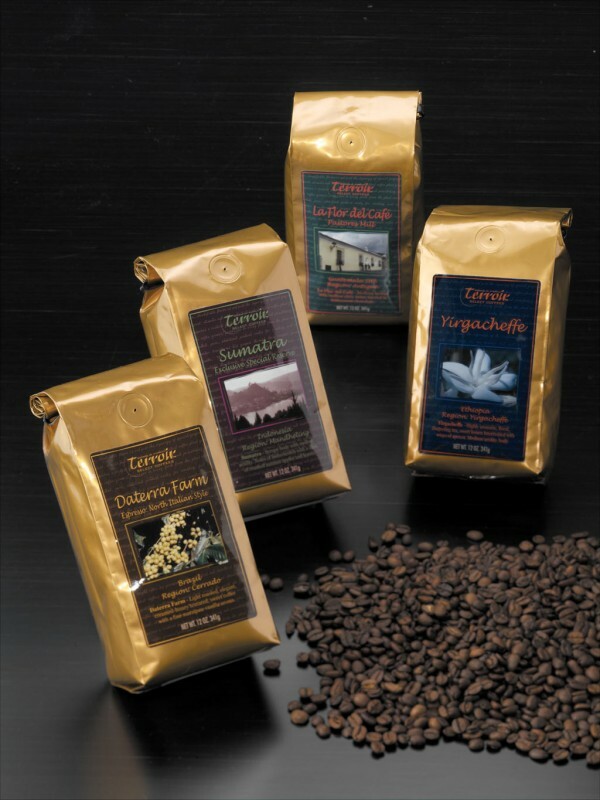 Create a new high-end segment in the coffee category. Brand Identity: Select name/logo associating brand with fine wine cachet. Imagery: Showcase individual farms growing distinctive, single-origin varieties. Overall: Use images, colors and bag material to convey a higher level of quality.